The American Eagle bullion coin program began in 1986 and with it came the first $1 American Silver Eagles, or ?ASEs.? 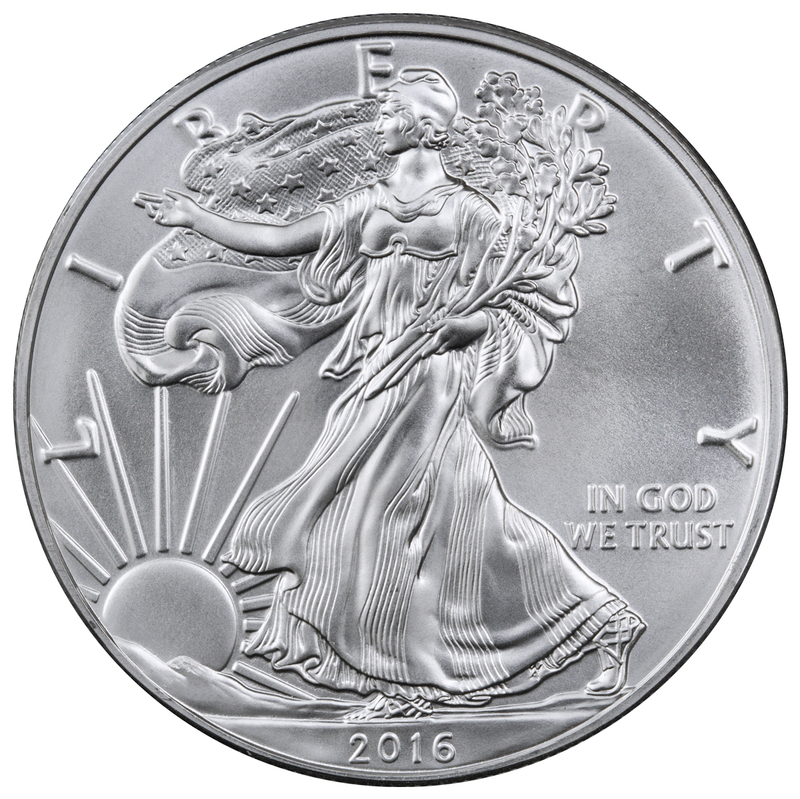 American Silver Eagles revive the obverse design of Walking Liberty, as designed by famed sculptor Adolph A. Weinman and utilized on United States silver half dollars struck from 1916 through 1947. The reverse depicts a stylized heraldic eagle design by John Mercanti. While uncirculated (or ?bullion?) $1 American Silver Eagles contain one troy ounce of silver and are chiefly touted as coins designed for precious metals investors, more numismatists seem to be collecting these base-level ASEs in recent years. Many hobbyists are assembling date sets in albums or collecting certified MS specimens in registry sets. As more collectors are paying attention to the dates of their bullion-quality American Silver Eagles, a few issues have gained recognition as scarce semi-key pieces. Among these are the first-year-of-issue ASE from 1986, the 1994 uncirculated silver eagle, and the 1996 silver eagle, all of which regularly trade for substantial premiums above their spot value. All burnished silver eagles trade for multiples of spot value, as does the 2013-W enhanced finish ASE. The rarest uncirculated-quality silver eagles are error varieties, including the 2008-W Reverse of 2007 and 2011-S burnished silver eagles. While it?s become expected by many individuals in the marketplace that all American Silver Eagles are readily available in MS70, this simply isn?t the case with earlier ASEs, which remain challenging to find in top Mint State grades.